Feeling a little fancy? Or a lot? Rock this sophisticated braided hairstyle, which works beautifully on all hair types whether you're a type 3a or type 4c girl, or anything in between! 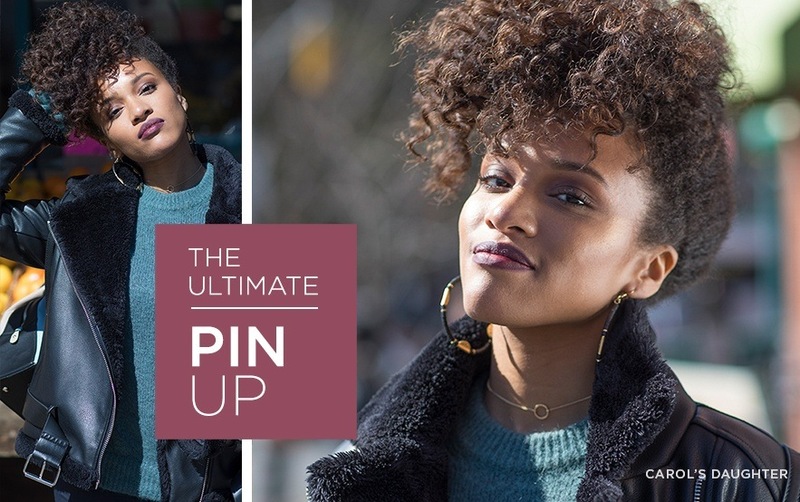 Whatever your natural hair type, you can create a smooth two-strand twist or polished pin-up thanks to styling products from Carol’s Daughter. The secret is prepping with the right products, starting with moisture-rich Black Vanilla shampoo and conditioner. This sulfate free duo is a secret weapon for incredible softness and shine on all natural hair styles. Step 1: Apply Black Vanilla 4 in 1 Combing Crème liberally to hair and comb through. We consider this an absolutely essential step to make hair manageable while you’re sectioning hair and getting ready to braid. Step 2: Section out the top section back to the crown and clip away for later. Step 3: Smooth sides back and French braid your hair starting at the nape and working up toward the crown. Step 4: Secure the end of braid with a coated band, tuck ends under and secure with a bobby pin. **Type 3 girls: on the top section, apply a small amount of Pracaxi Style Control Gel and scrunch those curls for smoothness with incredible hold. **Type 4 girls: apply Coco Crème Coil Enhancing Moisture Butter to hair and two-strand twist to add gorgeous definition. 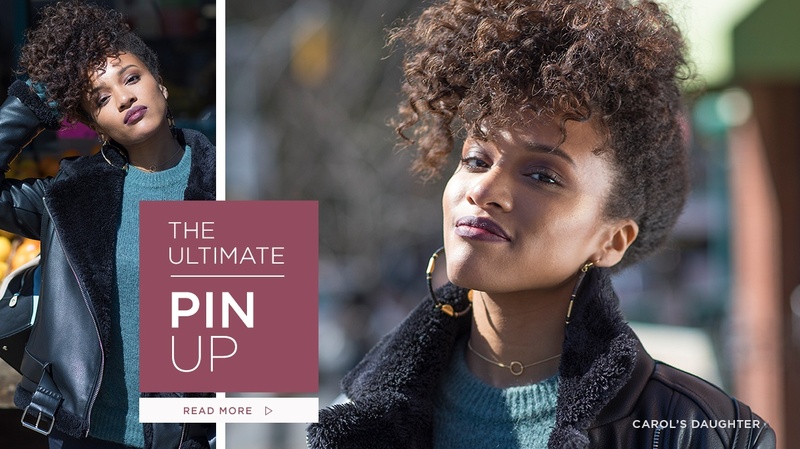 Now that you’ve learned how to create the perfect pin-up, check out more of our favorite products for your fiercest pin-up hairstyle ever!